Over the last few decades the stress in our lives has risen exponentially. The need for effective stress management has risen as a result. Stress is defined as physical, mental or emotional strain or tension. Stress is how the body prepares us for what is to come and it is a reaction to events that have taken place. Some amount of stress is necessary and healthy. Good stress will motivate us and keep us focused on our tasks and goals. Problems arise when the stress levels get too high and begin to overwhelm us. Dealing with stress untreated or unmanaged for prolonged periods of time can lead to serious illnesses which can be both mental and physical. 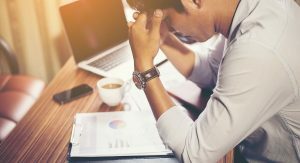 While serious cases of stress and stress related illness should be treated by a medical professional, most cases can be managed with some simple techniques. Positive thinking, laughter, deep breathing and muscle relaxation can be done on your own and can be very effective. The old saying “laughter is the best medicine,” has a lot of truth to it. Laughing naturally relieves stress and helps to distract your mind from stressful thoughts. Try to spend some time with cheerful people. If you’re by yourself, pop in a funny movie or read a light hearted book. Excessive worry has never helped to accomplish anything and can cause your stress levels to go through the roof. If you feel yourself constantly fretting, try to visualize positive things in your life. Try to remember a relaxing vacation you took or visualize one you would like to take. Imagine something soothing such as a gently flowing river or waterfall or even just a quite place where you can remove your self from the hustle and bustle of everyday life. Although often overlooked, deep breathing can be on of the most effective stress reducing techniques. Take time out a few times during your day and just concentrate on your breathing. This can be done at virtually any time during the day and anywhere, at your desk, in the bathroom, in your car, etc. Breathing in through your nose, pull a deep breath down to the pit of your stomach. The rush of energy coming in will relax and revitalize your body. Quietly breathe out through your mouth with a “whoosh” sound. Do this continually for several minutes. Another technique is called progressive muscle relaxation. It was developed by an American physiologist named Edmund Jacobson. It is based on the principle that the body responds to anxiety-provoking situations and thoughts with muscle tension. Muscular relaxation reduces such mental and bodily tension. Find a comfortable chair – reclining arm chairs are ideal or lie down. Get as comfortable as possible – no tight clothes or shoes and don’t cross your legs. Take several deep breaths letting them out slowly. What you’ll be doing is alternately tensing and relaxing specific groups of muscles. After tension, a muscle will be more relaxed than prior to the tensing. As you continue to perform this over time, you will begin to identify stress in particular muscles and be able to reduce that tension. Avoid tensing up other muscles other that the ones in the specific group. Also, avoid gritting your teeth or squinting. Don’t let your mind wander and breathe evenly and slowly. Tense each muscle for 10-15 seconds. Note that each step is really two steps – one cycle of tension-relaxation for each set of opposing muscles. Continue the cycles every day until you feel as though you are able to control your muscle tensions. Be careful: If you have problems with pulled muscles, broken bones, or any medical contraindication for physical activitiesScience Articles, consult your doctor first. These are only a few of the many useful techniques for managing stress. Put them to use and monitor your results. It is important to find the stress management techniques that work best for you. For more tips and resources for stress management and stress relief betterstressmanagement. Visit today and get 404 Self Improvement Tips absolutely free!